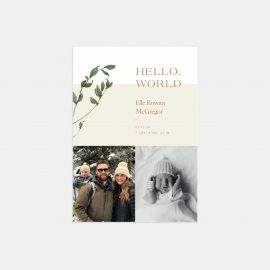 Welcome the news of your little one with our long-awaited Birth Announcement photo cards. 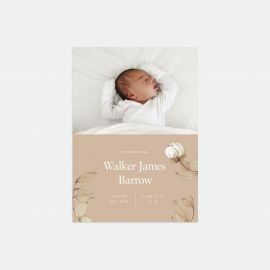 Offered in a variety of design options from vertical and horizontal, to hand-lettered and foil-stamped, you’re sure to find a timeless design that matches the personality of your new addition to the family. 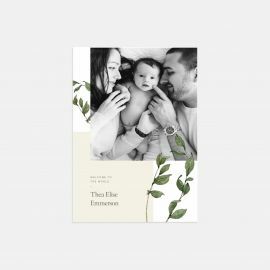 Customizable on both sides of the card, you can use our pre-designed card layouts to share the date, weight and height of your little one with your family and friends, in print. 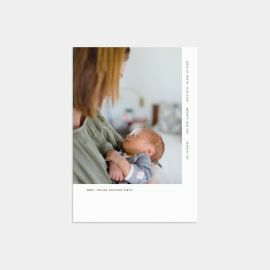 Include your favorite photo of your little with direct upload into our editor, or connect instantly to your Instagram account to create your custom photo card within minutes. 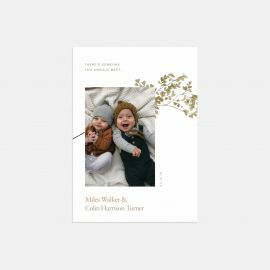 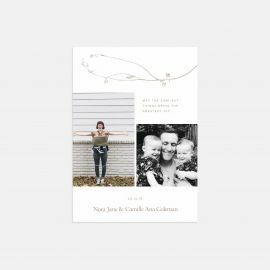 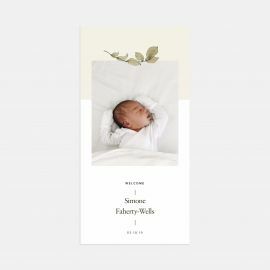 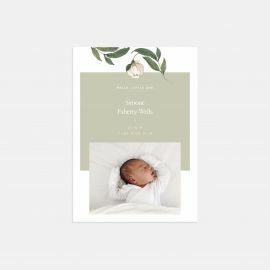 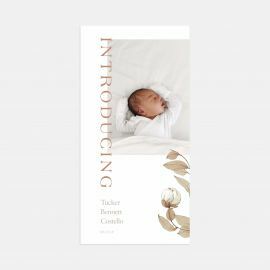 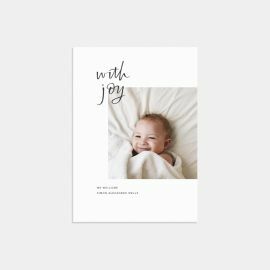 The newest edition to our photo card line, our Birth Announcements completes our card line offering of customizable cards including Holiday,Save the Date, and Thank You Cards. 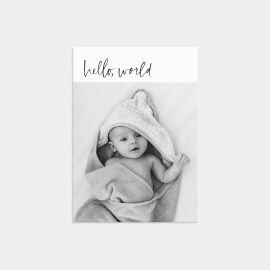 Similarly to all of our flat cards, choose from Kraft, White, or Iron Grey envelope options. 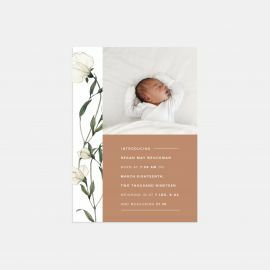 Printed on premium quality 100% recycled paper, our Birth Announcements are worthy of being displayed on any fridge. 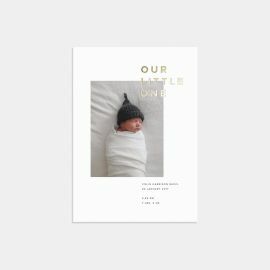 Looking for more ways to document your little one’s arrival? 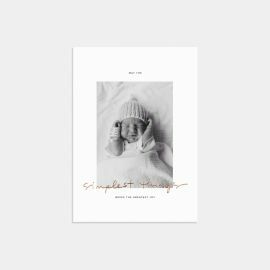 Whether you’re expecting yourself, or looking for the perfect gift for a new mom, you won’t want to miss our new Baby Book.